You are here: Renico Construction Latest News Newsletter: Latest News How the increase in VAT will affect property sales. How the increase in VAT will affect property sales. "Raising VAT to 15% has muddied the waters of long-standing transactions in many sectors - none more so than in the property sector. Now more than ever, buyers and sellers need to pay particular attention to VAT charges and how the increased rate will affect their real estate transactions," says Adrian Goslett, Regional Director and CEO of REMAX of Southern Africa. As with most 'before and after' transformations, the complication arises in the grey area that lies between the start of a project and the big reveal data - and consumers are going to grapple with whether to apply the 14% or 15% VAT charge to transactions which began prior to 1 April, but only concluded (that is, paid for and delivered to the client) after 1 April. This calculation is a personal topic which should be discussed between the seller and their agent based upon the business relationship they've formed. Because an ongoing supply of services is supplied by the agent, it is difficult to put a timestamp on when the transaction comes to its official end. In strict legal terms, you may calculate VAT at 14% if you receive the invoice for commission before 1 April, and at 15% if you receive the invoice for commission after 1 April. The increase in VAT has seen most South Africans bracing themselves for the worst. While the increase does mean slightly tightened purse strings for most of us, it is by no means a cause for alarm for those who keep themselves up-to-date with the change. 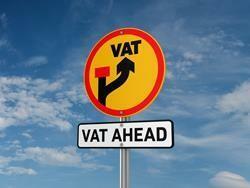 "The implications of the VAT increase can be confusing to fully understand. But, as long as you keep yourself informed throughout the process and speak to knowledgeable sources that you can rely on, you can avoid any financial blunders that can occur as a result of this change," says Goslett.